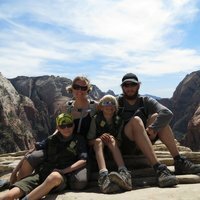 We are a family of 4 traveling the USA. 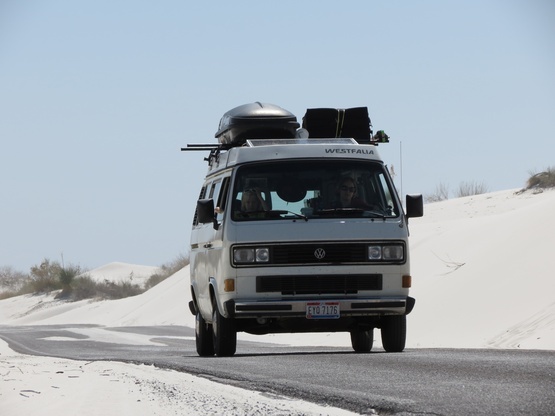 We have a home in Ohio but have been on the road since January. James loves rock climbing and motorcycles. Anna loves traveling, gardening, and food! The boys love reading, playing computer games, and exploring nature. Anna has lots of gluten free and allergy friendly cooking tips. James is handy with tools and can build almost anything. Mountain Tops, riversides, and good spirited people! 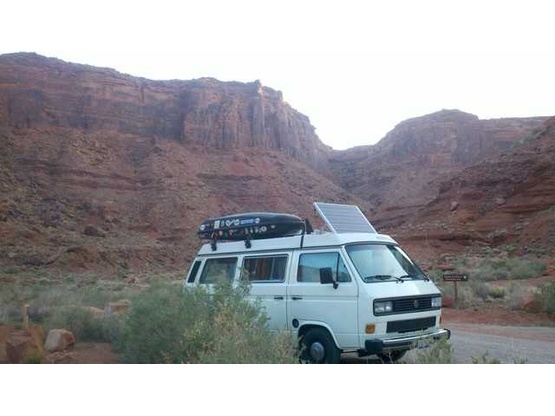 1987 VW Westfalia Camper A lovely home on wheels and our daily driver! Her name is Love Dove. Love Dove has a few mods; the solar panel being our favorite.